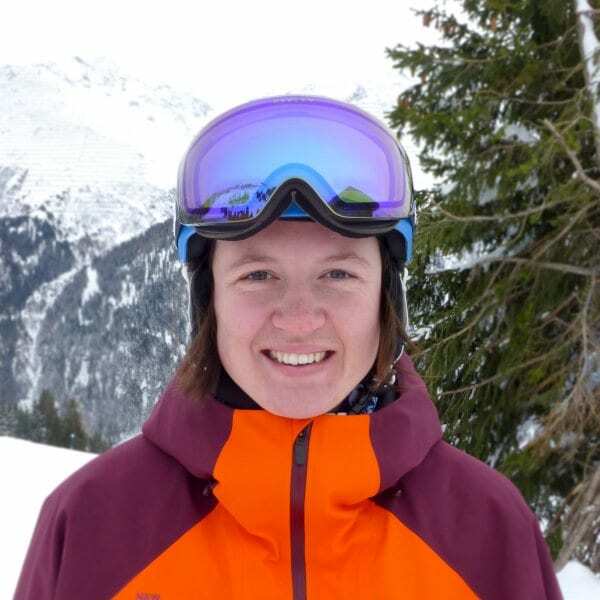 Originally from London, with a Degree in Archaeology & Anthropology from University of Bristol; skiing has always been the most important part of my life. Skiing is an absolute passion of mine and I have been dedicated to teaching others to ski since 2013. I am always trying new methods of teaching and aim for every lesson to contain something exciting and new. Whether you’re looking to hone your carving technique, explore some lesser know tree runs or try skiing for the very first time then I would love to ski with you! My favourite type of skiing? Forcing myself out in bad weather and witnessing the first rays of sun come through. Best. Reward. Ever. For the adults, I won a Dissertation Prize at University for a study on Drag Kings! For the kids, I can sing Joseph and his Technicolor Dreamcoat from start to finish and it takes me about 40 minutes (I am pretty good at Les Miserables too)! Being nervous is a good thing! I think we all forget to appreciate that nerves help us focus, keep our mind sharp and remind us that we are testing ourselves. Don’t avoid it, embrace it! Fancy a private lesson with Anna on your next holiday?